I've had a fun Hawaii themed shirt from Goodwill in the cupboard for a month and a half or so begging to be turned into something fun for Firecracker. 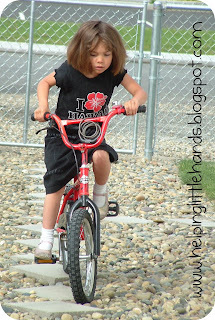 What started out life as an X-Large Adult T-shirt has turned into this! 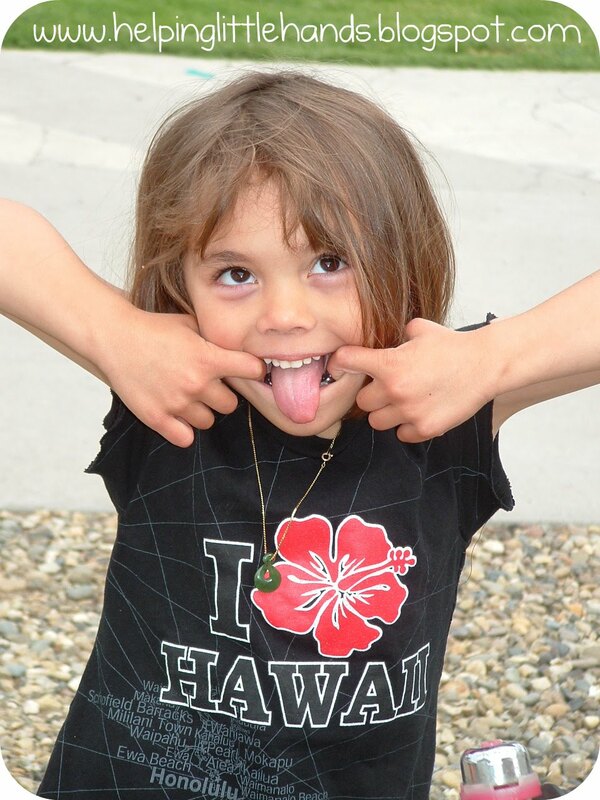 We've never been to Hawaii, but this shirt was perfect for her because one Firecrackers birth grandma's grew up there. Firecracker loves to wear this...day AND night until it has to go in the wash. This would work great as a summery nightgown for your sweetheart too. It turned out a lot better than I was hoping for on a first attempt at a T-shirt dress with no pattern. I'm including the pattern for the sleeve and top part of the dress (for the bottom you just continue the lines out to bottom of the T-shirt) at the end of this, but I'll show you how I put the dress together and made the pattern in case you want to make your own. I'll tweek the pattern a bit when I make another one, but I thought I'd go ahead and share it here. The arm holes are just a tad bigger than I would make again, but they work find for her (she's wearing 4-5T) and they could work well for someone a little bigger too. 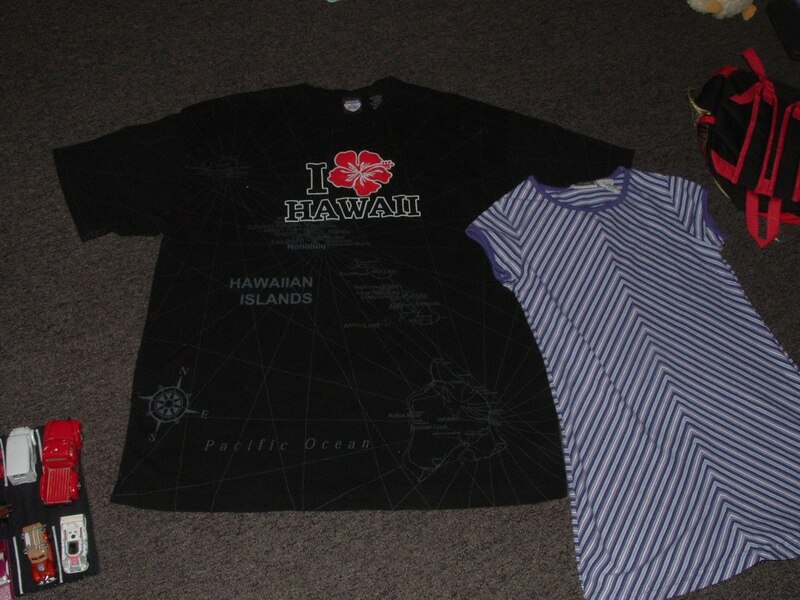 I started with these...a thrift store T-shirt to remake and a dress that fits Firecracker to help with the shape. 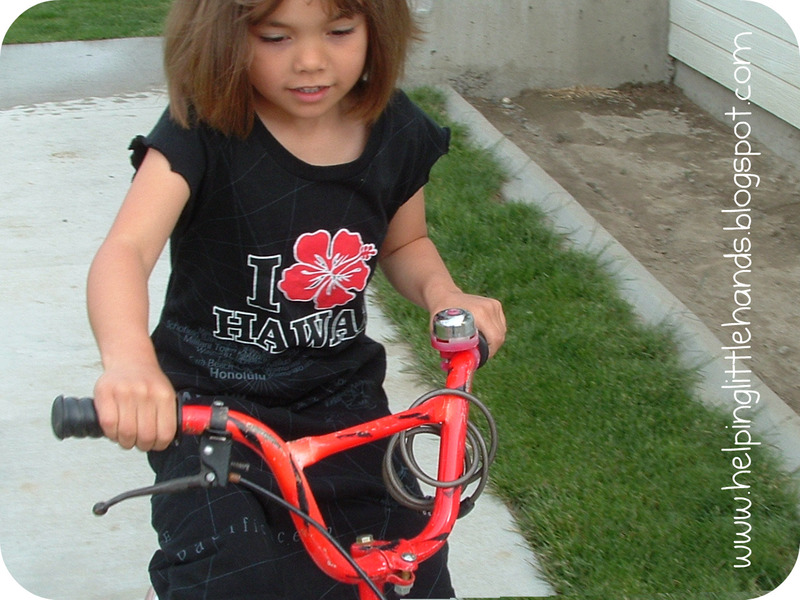 Because the shirt had a fairly small neckline for being such a large shirt, I didn't have to do anything with it. This might not work as well if the shirt has really wide neckline, so when you're hunting for fun shirts, pay attention to the collar. 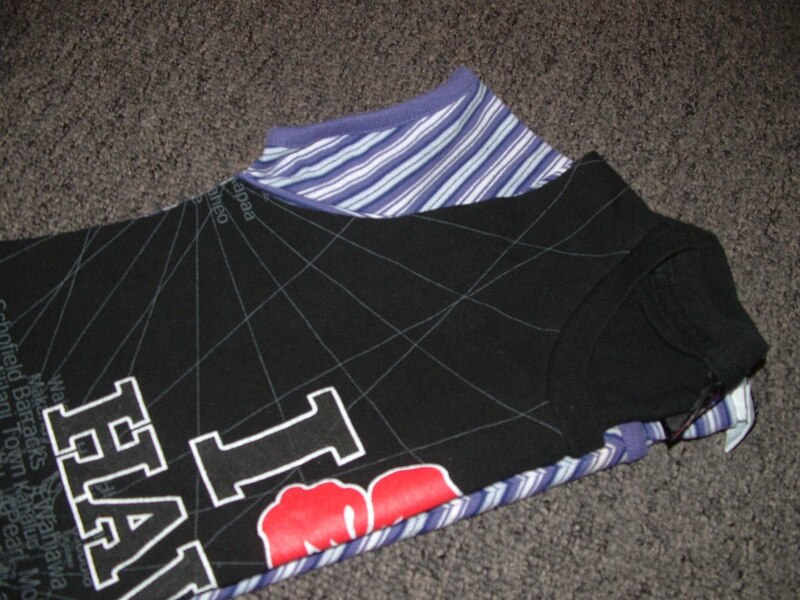 I started by folding both in half, lining up the center folds, and matching the necklines. 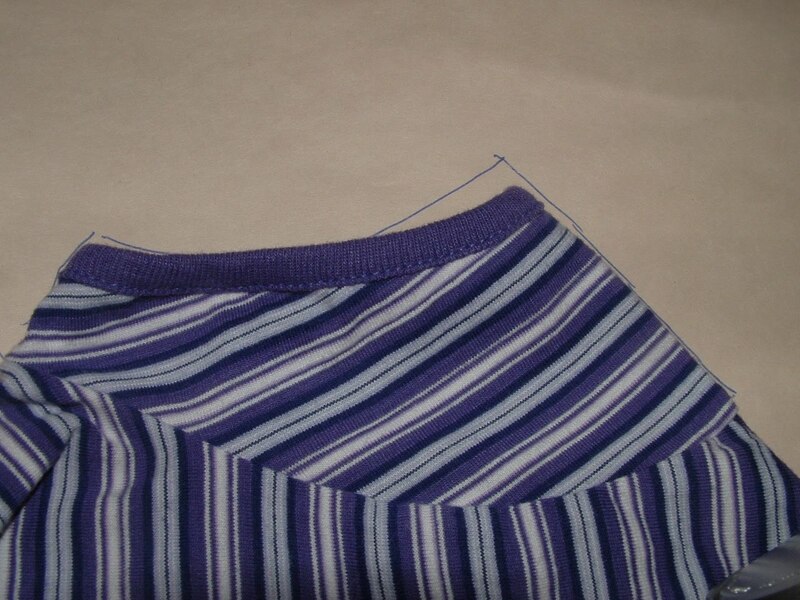 When I made the cut on the sides, I cut ot just shy of the bottom, leaving the hem fully intact. This isn't absolutely necessary, but it made the bottom hem look a little better after everything was sewn. This is what it looks like from the other side. 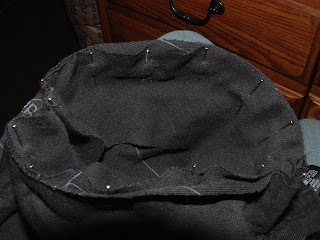 For the arm hole, I tried to follow the shape of the original arm hole. To figure out the shape of the sleeve , I traced the edge of the arm hole onto paper. 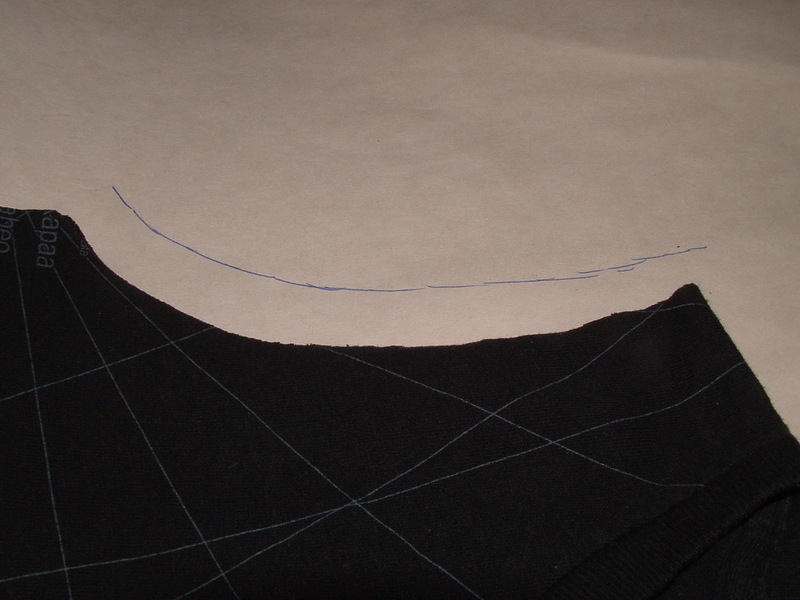 Then I extended it by 5/8 of an inch for the seam allowance. 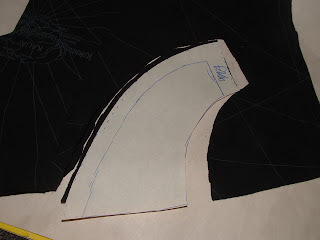 Then I layed my pattern dress over it so the arm holes lined up and traced the shape of the sleeve. 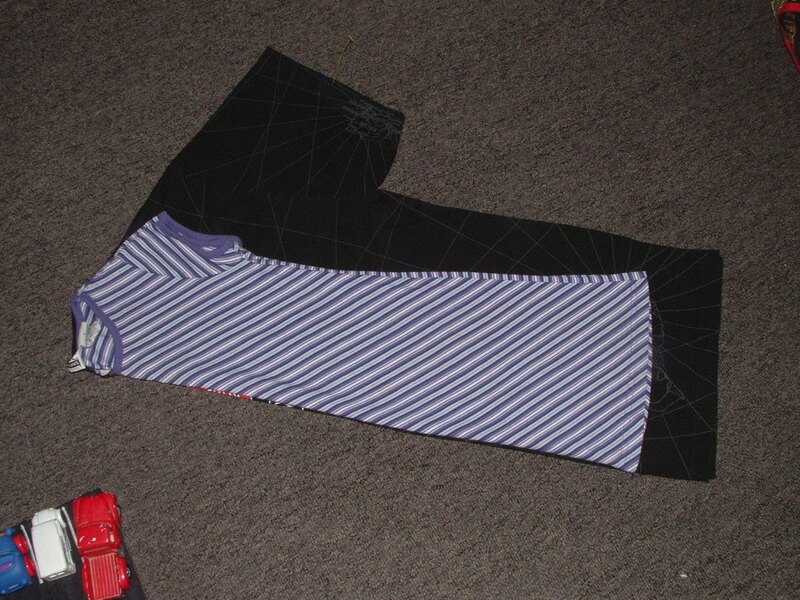 After extending the end just a bit for the seam allowance, I ended up with this pattern piece, and cut the piece from the sleeves along the folds. 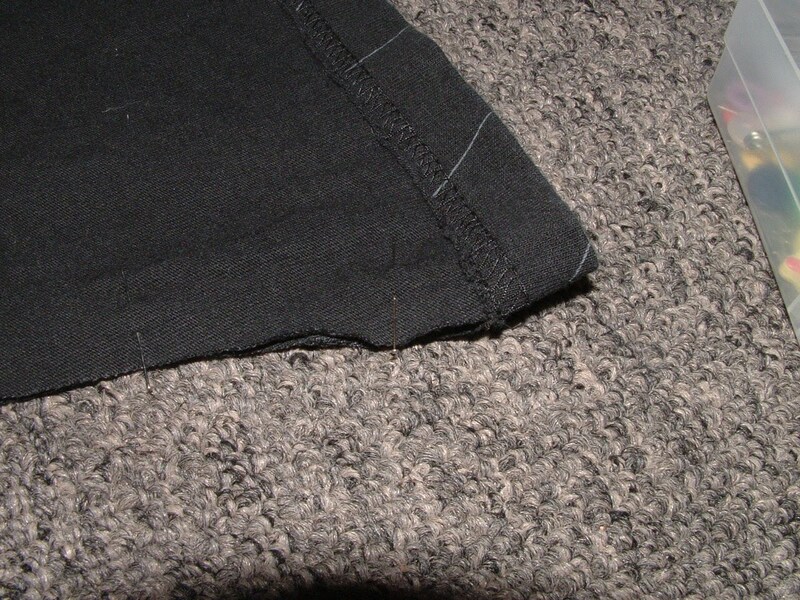 First, I sewed the side seam with a 5/8 inch seam allowance, sewing the right sides together. Sorry no picture here, but it's pretty straight forward. 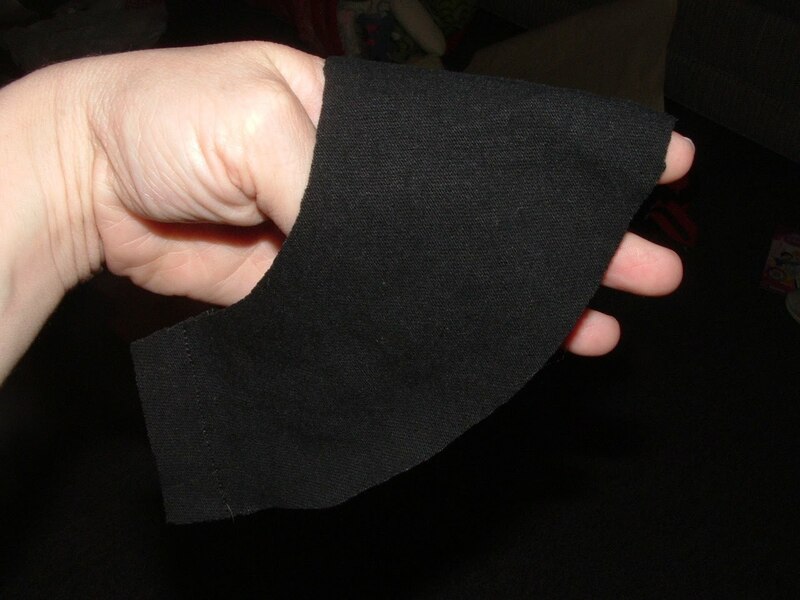 Then I sewed the underarm seam, so you should have something like this. Then I pinned the sleeve to the dress around the armhole. Be sure you're matching the fabric at a point 5/8 inch in because otherwise it will appear that the sleeve is to big for the arm hole. Then give your sleeves a quick ruffle hem (click for tutorial). I just love the ruffly sleeves. It give the dress a more feminine touch I think. Firecracker and I both love that it's long enough she can ride her bike without showing her undies, but it's not so long that it gets in the way. "But please, Mom, stop taking pictures and let me ride." And here's the pattern. The places you cut are highlighted in orange. 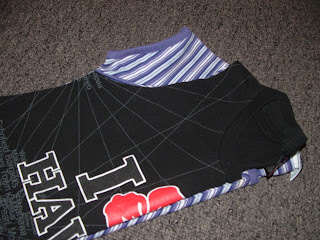 All the other lines you see are places you match the pattern up to a neckline or fold. 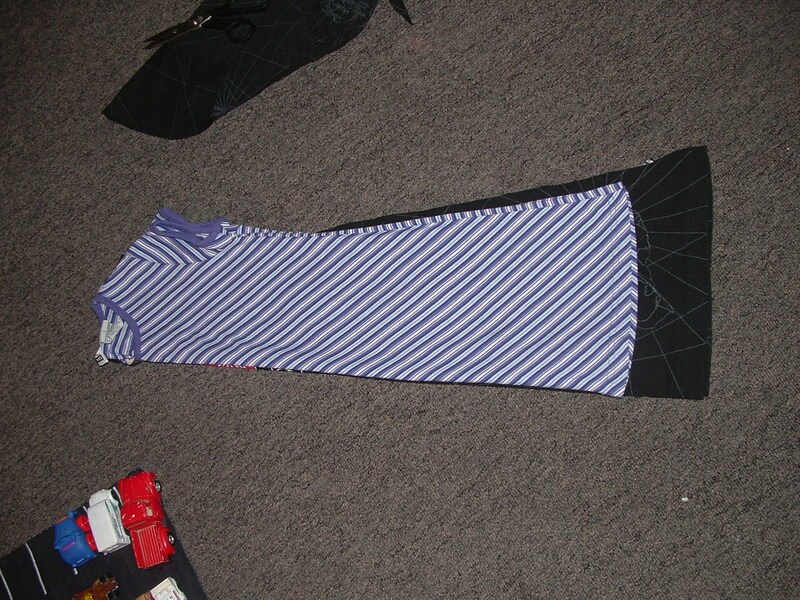 The whole pattern didn't fit, so I included the top part. You'll just need to extend it down in a dress shape to the bottom of your T-shirt. 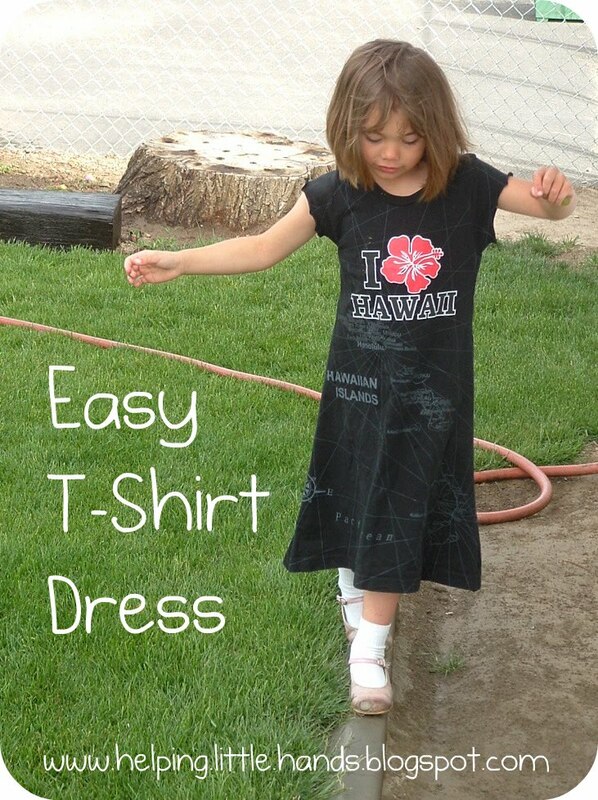 Click here to download my FREE T-Shirt Dress pattern. 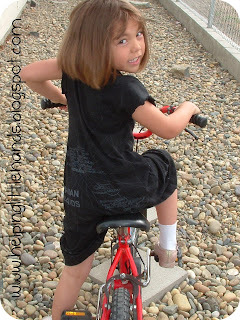 Thanks for the reminder about the ruffle hem! 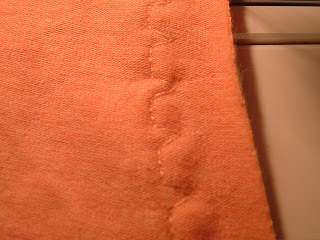 I tried to do the same technique using a narrow rolled hem on my serger, but the serger just gobbled up the material (I think it was because the fabric was such a lightweight knit). I will stop trying to be all fancypants and just do it on my sewing machine instead as you suggested. I think I won't have any problems with it then! I just put up my linky party! Please stop by and link up! Thank you for this useful tutorial!!! This is my favorite way to make playdresses for my daughter! Fun! I can't wait to try this. 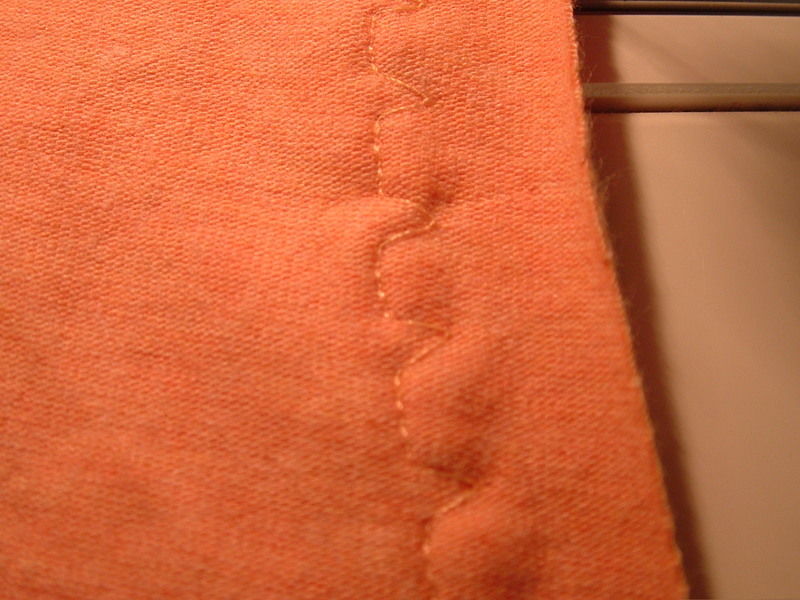 Just wanted to comment that the stitch you showed in the orange fabric is for stitching blind hem. 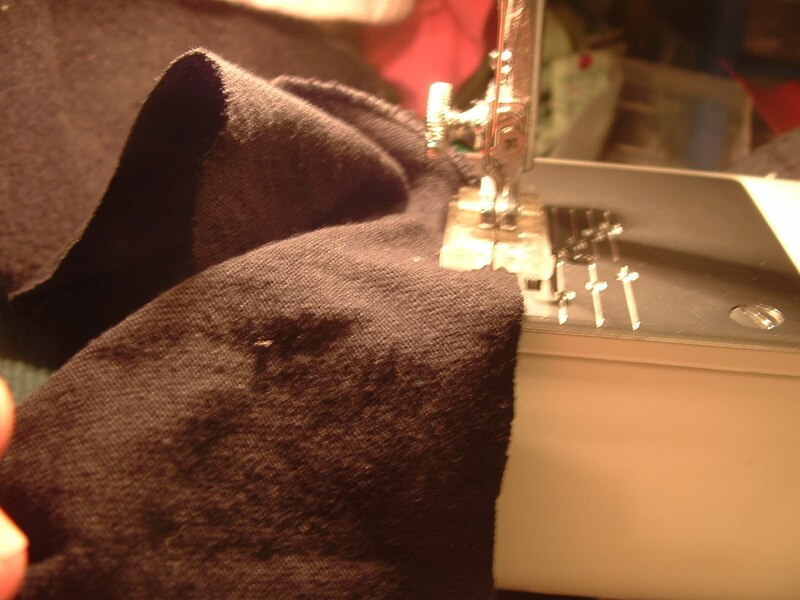 If you look in the manual for your machine, it should have some instruction on how to do blind hems with that stitch.